This is key to enjoying your salad! Only have crunchy veggies on hand? Make a chopped salad and top it with beans, chicken or avocado for textural variety. If you’ve found yourself with more greens than you can deal with, add in some roasted chickpeas, croutons, celery, sprouts, berries or hard-boiled eggs for variation. If texture is the key to enjoying your salad, soluble fiber and protein are the key to staying full after you eat it. Some veggies, like carrots and cucumbers, have a lot of soluble fiber to keep you full, and some (like spinach and peas) have protein. But adding other soluble fiber and protein sources can transform salad from side to main dish. Insoluble fiber won’t keep you full, but is necessary for gut health and digestion. You can get insoluble fiber from whole grains, zucchini, broccoli, dark leafy greens and fruit. For some, bottled dressing will do the trick. (Personally, I’m a huge fan of tahini-based Annie’s Goddess dressing and Brianna’s Zesty French, which has a nice paprika flavor.) 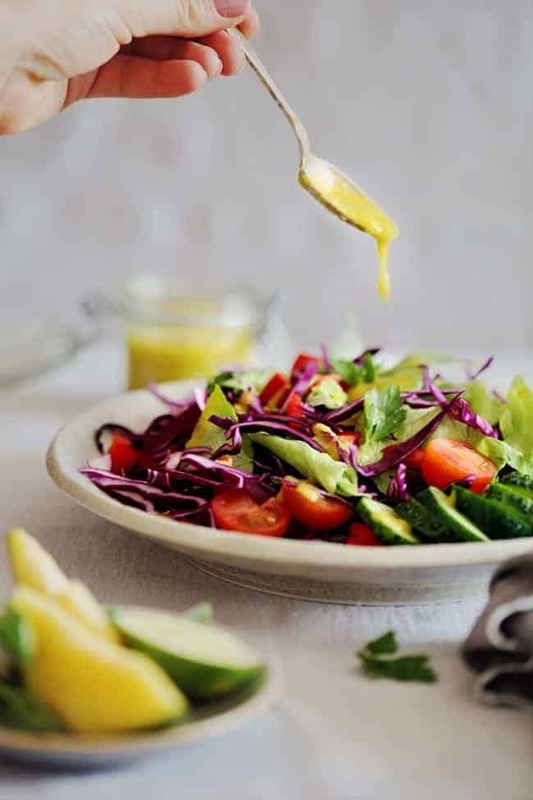 However, salad dressings, like all condiments, tend to contain a lot of sodium, hidden sugars, preservatives and oils that we’d maybe rather not consume all the time. This is why homemade salad dressings are a genius option. If olive oil and lemon juice sounds totally boring, try making homemade ranch, blue cheese, French or honey mustard, or experiment with a simple ratio of 1 part vinegar to 3 parts oil (to taste) with minced shallots, herbs, spices, mustard, tahini or other accoutrements whisked in. Shake it all up in a mason jar and there’s no need to buy dressing. Follow this formula to make salads you’ll want to eat every day. Thank so much for all the information. I live by self on a farm in South Africa and all the recipies help to survive. This is genius – thanks so much for sharing!!! I love how you break it down to base, crunchy, soft and so on. It really makes it easier to think of that one thing that is missing without having to have actual recipes. I am looking for a simple recipe for a iceberg and lots of dill salad that contains freshly course black pepper and I think a vinegar and oil dressing. The salad is super cooling to your palate, especially on a hot day. Is this the correct recipe or not. Can anyone help? I’d appreciate it? Thanks. How much of each ingredient in the categories? How to you take photographs for your blog & what camera do you use? The photos look great!